P.S. : Showing my ignorance now…I didn’t even know the sprout, brussels had that s on the end. I always thought it was a brussel sprout! I’ve learned two things before my coffee this morning! Lovely. Oh, it’s always nice to learn two things before the morning coffee! Glad to be of service. And when brussels sprouts are in season again in Sydney I do hope you’ll give them another chance. I’d be surprised if you weren’t pleasantly surprised. Whether or not brussels sprouts should be capitalized is not the issue for me. Until now, I didn’t realize there was an “s” on the end of the word! Who knew! We love our brussels sprouts with a little bit of olive oil (not too much), broiled for a few minutes. Even the kids eat ‘em that way. And why not? Brussels sprouts are delicious broiled, as you point out Margaret. Thanks for including my recipe! I’d love to try each and every one you have listed here. My pleasure, Susan. Hope you enjoy the recipes. What a wonderful post! 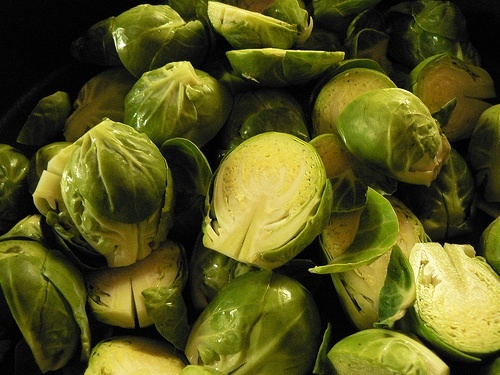 I’m crazy about Brussels sprouts. Thanks for including my recipe. 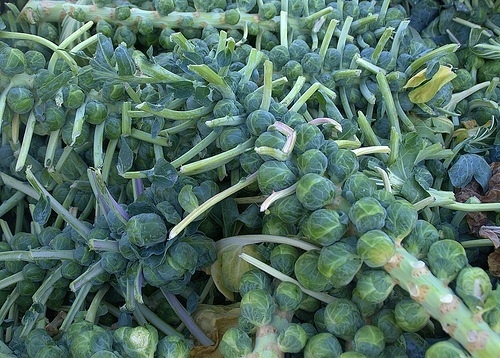 West Marin is one of my favorite places on the planet – and that was before I knew they grew Brussels sprouts out there. I went back and forth on the capital B thing when writing up my recipe, and after checking some site/source I no longer remember, went back through and capitalized even though I was still undecided – interesting about the NYT. You write Brussels and I write brussels but we both agree that they’re delicious AND West Marin is a special, rural place, and you’re a farmgirl no less.